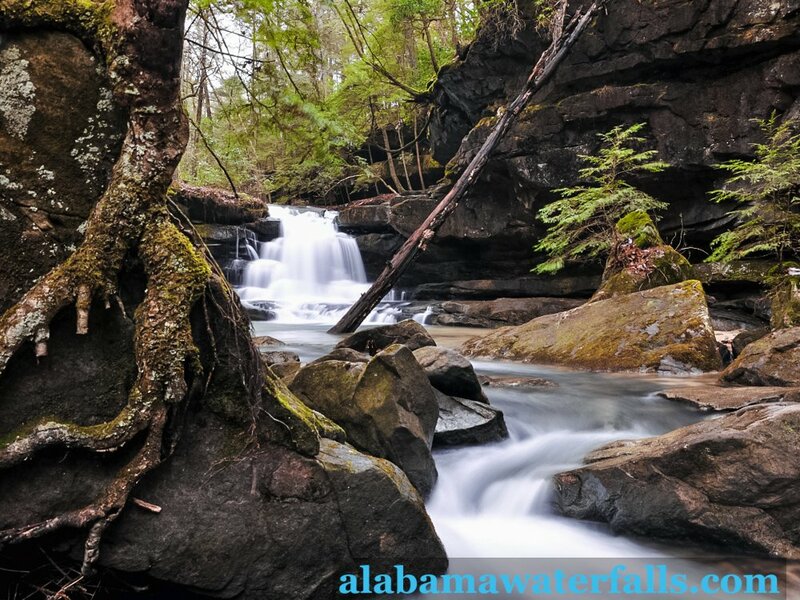 Parker Falls is off of Kinlock Road on the west side of Bankhead National Forest, and its beauty is almost matched by its surroundings. 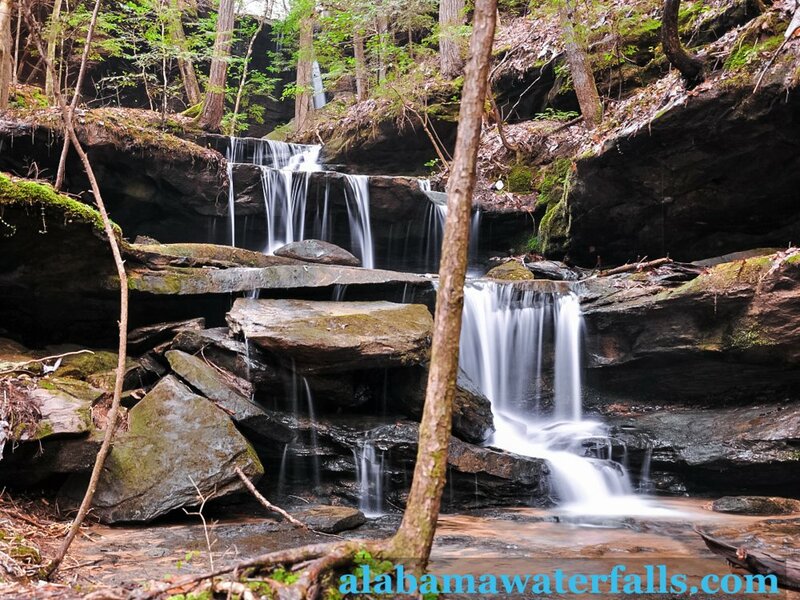 Parker Falls is a small cascade in the west side of Bankhead National Forest. While the trail isn’t improved or marked, it gets enough traffic to be pretty easy to follow. The trailhead starts on Kinlock Road just south of the ever-popular Kinlock Falls. 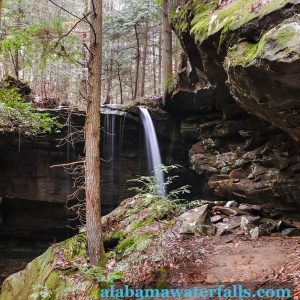 Unlock Kinlock Falls, Parker Falls and Parker Cascades does require a hike of about 1.7 miles, depending on how much you explore once you get down to the creek. The trailhead is right on Kinlock Road, which isn’t the prettiest piece of blacktop, but is fine for the average car. The trailhead is before the road turns to dirt and gravel on the way north to Kinlock Falls. Fortunately, there is plenty of rooms for a few cars on both sides of the road, and you generally won’t find more than a few on this trail, even in the spring and the fall. The trail itself is relatively flat, with only a couple hundred feet of descent down to the falls, and most of that is right at the end as you descend into the canyon that contains the creek and make your way to the natural bowl with the main falls. On the way down, you’ll see several small falls in wetter seasons. You’ll cross a small creek just above a waterfall and make your way down into a small bowl. The trail is pretty narrow here, with a steep side and a sharp drop to the creek on your right. If you have more than 1 small child or dog per adult, this section will be a little harrowing. It’s best to cross the creek here in my opinion. From here, you’ll continue down past several more small drops. Quiz: how many waterfalls do you see in the picture below? 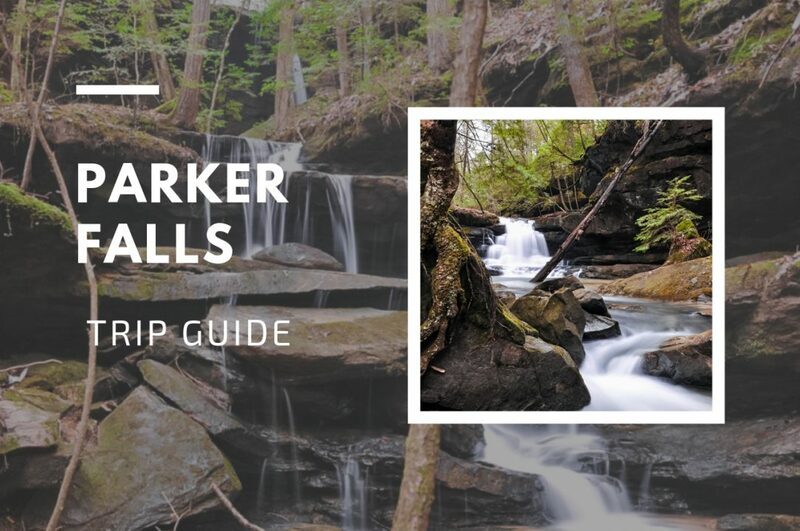 Once you get to the next larger waterfall in the small creek that you’re following into the main canyon, you’ll want to hang a right and head upstream to see Parker Falls. As with most waterfalls, this one is best enjoyed in the shoulder seasons, when it has plenty of water flowing. But, the rock walls of the canyon and moss everywhere you turn make this a cool spot any time of the year. If you choose, you can also explore further north (downstream) to seek out Parker Cascades. This section is less-traveled, and the walking does get difficult in a few steep places. You’ll be travelling in a pretty narrow canyon and would be wise to expect to put your foot in water at some point. All in all, this was a nice hike with some cool features, and there should be plenty of water here most of the year, though the initial falls on the way to Parker Falls may be dry. 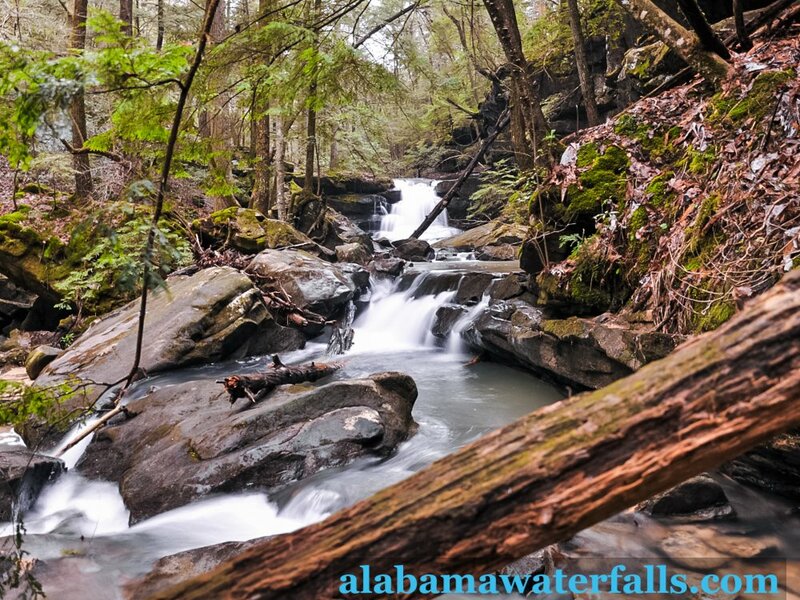 Your trip to Parker Falls could easily turn into an entire day of hikes and waterfalls. The ever-popular Kinlock Falls is just north on Kinlock Road. 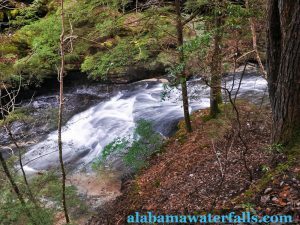 And, Caney Creek Falls is a pleasant hike with a cool reward at the end on the same side of the national forest. East torwards the Sipsey River, you can visit Eagle Creek Falls, Deer Skull Falls, Little Ugly Falls, and Wolfpen Falls. Turkey Foot Falls and Fall Creek Falls are in the same area too, so you can clearly spend a few days here if you really take your time visiting all of the sites. Is Bank head open due to government shutdown? This is in a wilderness area, so there are no improvements or gates that would be closed.